Patrick Reed faced some serious heat for his critical comments following the U.S. team’s Ryder Cup loss in October. In a new interview, Reed doubles down on his criticisms and complains about an alleged double standard for Phil Mickelson. The New York Post caught up with Reed on Wednesday in the Bahamas, where Reed was prepping for the 2018 Hero World Challenge, the annual small-field event hosted by Tiger Woods. Based on his comments, the strong feelings the reigning Masters champ had about the Americans' devastating loss at Le Golf National clearly has not faded with time. In Reed's view, U.S. captain Jim Furyk split up the previously successful Reed-Spieth pairing in order to please Spieth and Justin Thomas, who wanted to play together. In other words, he's claiming his captain and teammates acted outside of the team's best interest. Reed told the Post that Furyk's alternate explanation was "B.S." (Spieth and Thomas went 3-1 in Paris, while Reed lost two matches while paired with Tiger Woods). "You had to look at the breakdown of all the guys on the team and what was best for the entire team, not just one or two individuals. So you split up Jordan and I, right? Then you split up Justin Thomas and Rickie Fowler, who have played great golf together... groupings that had been proven successful in that format. So it was about the team, not one or two individuals," Reed told the Post. 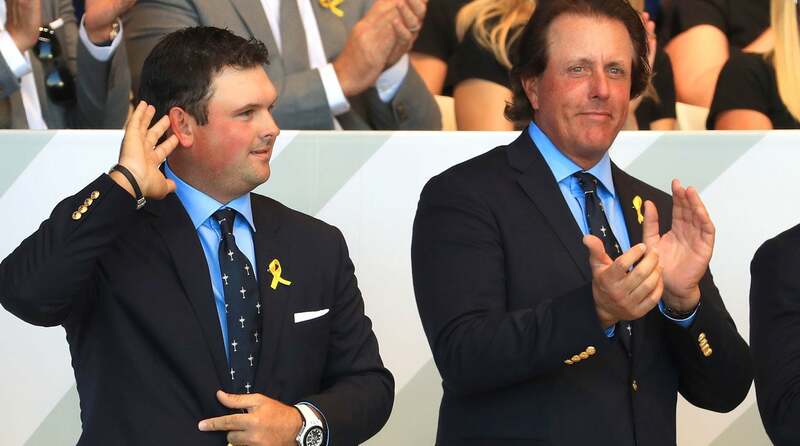 Patrick Reed stands next to Phil Mickelson during the opening ceremony for the 2018 Ryder Cup at Le Golf National. Ultimately, Reed says it all boiled down to "a lack of communication" and had "nothing to do with hard feelings. Jordan’s an awesome player." However, Reed confirmed the two had not spoken since retreating home from Paris, noting "He has my number." But Reed wasn't done there. He defended his decision to air his grievances publicly in the post-Ryder Cup press conference because "something needed to be changed." Reed feels the reaction to his comments was overblown, claiming that Phil Mickelson was treated much differently after his own Ryder Cup diatribe in 2014. Tour Confidential: Will Patrick Reed’s Ryder Cup comments have any long-term impact? "He did it and got praised. I did it and got destroyed. It all depends on who the person is, obviously," Reed said. If nothing else, Reed's comments prove that fissures on the U.S. Ryder Cup team have not closed, and we will continue to monitor them leading into the Presidents Cup next fall, a team that will be captained by Woods. Reed tees off for the first round of the Hero World Challenge at 12:27 p.m. ET alongside Bubba Watson.